And a huge list of issues that are fixed. More information can be found in the Microsoft KB article found here, link. The update can be installed by using Windows Update, WSUS or manual downloading the files and execute them. After the installation of Update rollup 3 execute the SQL Script against the SCVMM database. The SQL script is listed in the Microsoft KB. 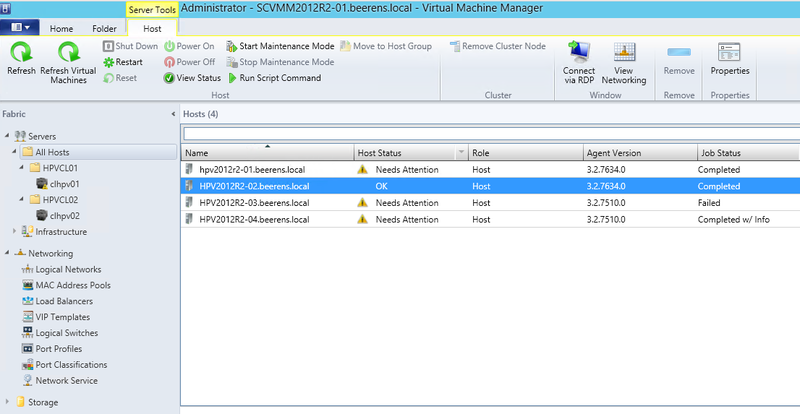 Don’t forget to update the VMM agents on all the infrastructure server. 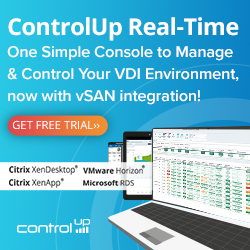 The update of the VMM agents doesn’t require a reboot. The Update Rollup 3 agent version is 3.2.7672.0. The new Microsoft System Center Virtual Machine Manager DHCP Server (x64) version is 3.2.7672.0. More information about the installation can be found here. For more tips see my earlier blog post “Tips for deploying SCVMM 2012 R2 Rollup 2”, Link.